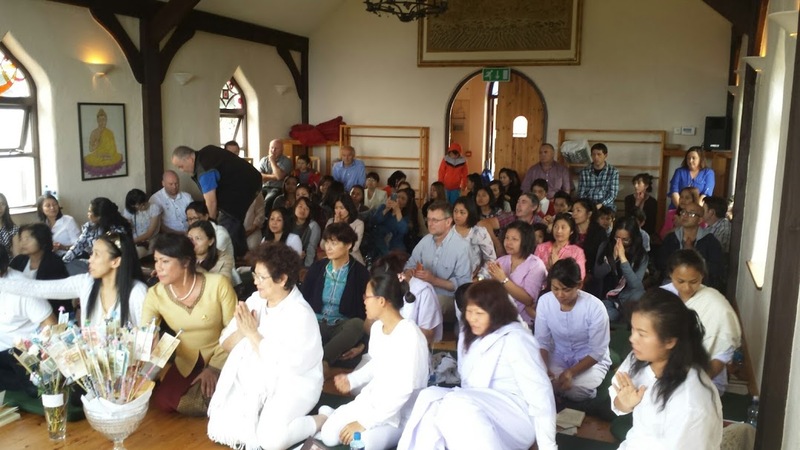 Last weekend we hosted our fourth Tort Pa Pah day and our second Thai meditation weekend retreat, both of which were very successful. 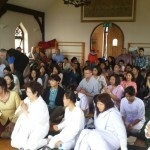 The retreat which was well attended and led by Thai monastic Ajahn Ratanawanno began on Friday and ended on Sunday morning. This was followed by the Pa Pah donation ceremony on Sunday afternoon which was attended by approximately 80 people, our busiest yet! The total amount raised was €3,400. The monies raised will help us continue to offer Buddhist teachings and Buddhist meditation retreats at the Centre. We would like to express our deep appreciation and gratitude to all those people who made offerings to Sunyata and also a huge thanks to the people behind the scenes who helped to organise both of these events.